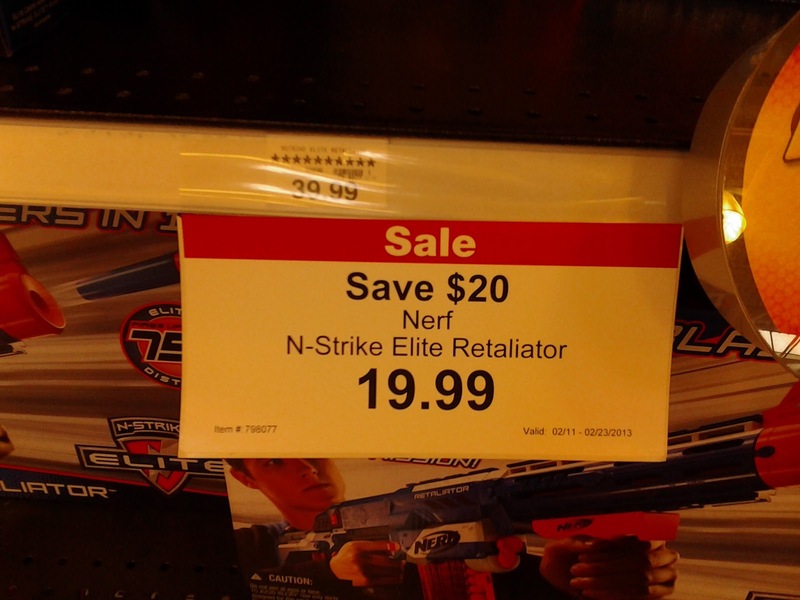 Buffdaddy Nerf: More sales and spottings! 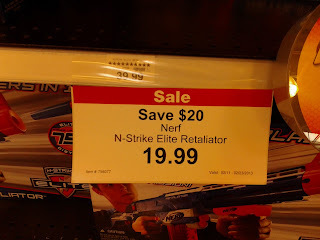 First, I"d like to highlight some signs from Toys R Us. These specials will be running for most of the month. 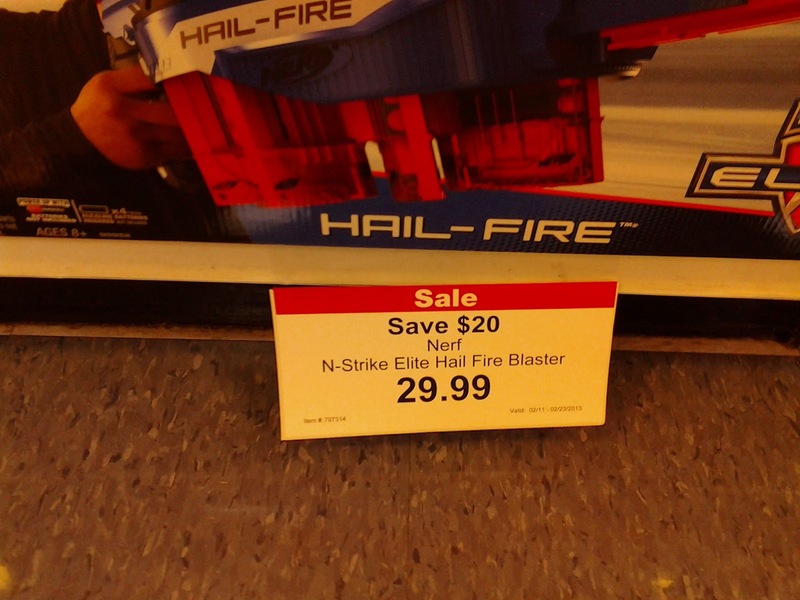 If anything, these blasters are now reasonably priced - something TRU has a tendency not to do. 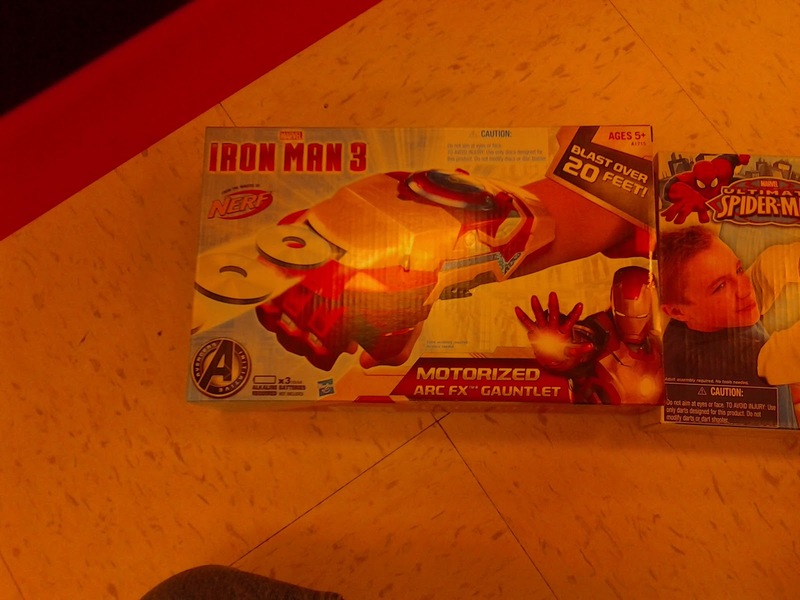 Meanwhile, at Target, some of the new Marvel Avengers toys have been released: a motorized disc shooter, and a pull and release wrist blaster. 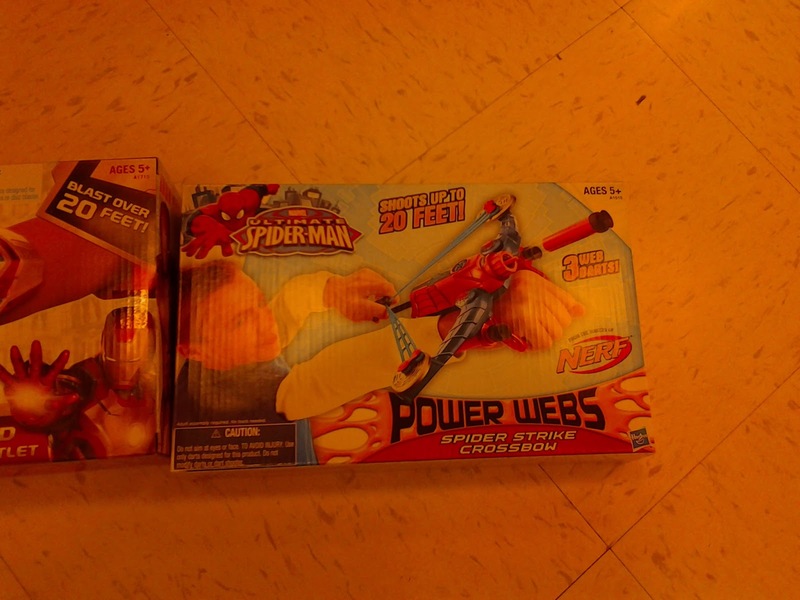 The Spiderman toy appears to essentially be a wrist-mounted Quickstrike, sans the second dart. 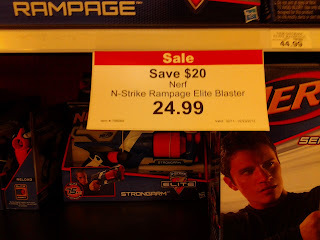 I bought the disc launcher - while it's certainly not Vortex, a bit of tweaking and additional voltage should make it decently fun. 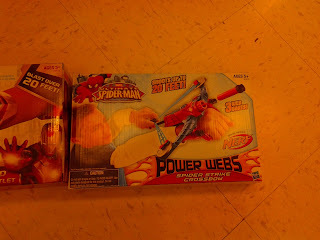 That's what I did with the Captain America Disc Launching Shield.